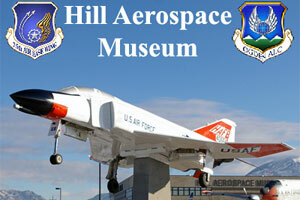 Join us as we check out the Hill Aerospace Museum in Roy! This museum is FREE, so there is no charge to attend! We will be learning about aviation and more. I have never been here, so this will be a new experience for us! Print out the scavenger hunt according to your child's age. Have your children read many of the worksheets found on their website. This is an open invitation for anybody to join us, so share this with your friends and family! You can RSVP and forward the invitation on Facebook. For more Summer Adventure Series schedule, and to stay informed when new adventures are scheduled, visit our Summer Adventure Series page.